We conducted our third “Peaceful Investing” workshop in New Delhi on May 13, 2018. The workshop was aimed at sharing equity investing knowledge with the participants that could help them gain confidence while taking their equity investment decisions. The presence of participants coming from places like Mumbai, Kolkata, Bikaner, Gwalior, Ludhiana, Moga and parts of Haryana and NCR to New Delhi made it a special occasion for us. Kanpur, Faridabad, Coimbatore, Udaipur, Nagpur, Nashik and Pune to Mumbai in November 2017. Muscat, Abu Dhabi and various parts of UAE to Dubai in October 2017. Saudi Arabia, Qatar, Pune, Hyderabad, Kochi, parts of Tamil Nadu & Andhra Pradesh to Chennai in September 2017. We are truly honoured to have such faith from investors and it gives us immense pleasure to know that the participants found the workshop valuable and added to their stock analysis skills. The workshop included a session on answering different queries faced by the participants while doing investments and stock analysis. The workshop and the entire day spent in the workshop has probably been the most important day of my life. I’m sure, in the days to come, this will turn out to be a big turning point for me and everyone in the family. So far, my investing journey has been full of uncertainties, trying to find a grip – move forward – in the dark. 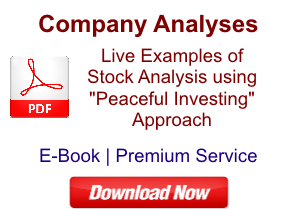 It’s for the first time I think I’ve found a rock solid strategy for stock / business analysis, all thanks to you. Everything in my portfolio is up for review now. 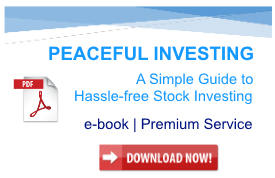 This is more than Peaceful Investing. It’s “Safe Sure n High Compounding”. There were lot of times I and my brother (we both participated) felt completely moved by what you created as a context, for looking at things. You are masterful and everything was created and delivered perfectly. There were times when it looked like there should’ve been more time for questions or the pace should’ve been slower. But the Q&A in the end, more than made up for it. And the pace brings high focus. So nothing to be changed there. Thank you for all the hard work you put in and thank you for your generosity and willingness to pass on the carefully designed process. The pricing can be increased. The course delivers way more. To say that I came away with one learning would be an understatement! 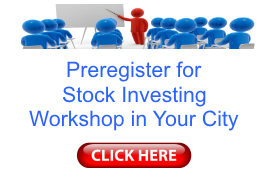 I left the workshop with a completely new investing approach and gravely aware of how much there still is to learn. There is a clear method to how I intend to approach investing going forward. Your workshop was indeed one of its kind for budding investors like me……I am a regular follower of your website articles but the workshop took investing to a different level altogether……Best part was Q&A session where innumerable queries were solved many of which are not there on internet. Morning 10:30: checked the market for first time in day. Evening 5 pm: checked the closing status. You might find this normal, but I used to check the market ~10 times a day. 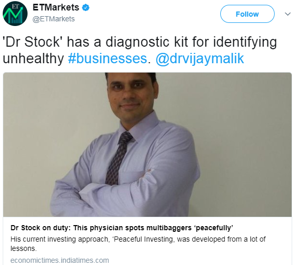 Have 15 stocks in my portfolio, identified top 4 where I shall be doing deep dive as per the analysis techniques learnt. So this had been the story of last 24 hours. I must appreciate your simplicity of ideas, personal humility & time management during the workshop. As I spoke to you yesterday morning, it was the most awaited seminar for me. I really enjoyed yesterday’s workshop and happy to takeaway the learning’s from it. I liked the way you kept the agenda intact throughout the session otherwise we could have had to hurry in some parts of agenda. Knowing the wide coverage of agenda from beginning, it was good to see you cut short on queries in between and allowed time at end for the Q&A. As, covering agenda was of greater interest for the wide audience. I had prepared for the workshop by making notes from the Peaceful Investing e-workbook & going through the notes & the Company Analysis before the workshop. This helped me in grasping the concepts, which you covered in the workshop, with ease. I must say the study material & the workshop have changed the way I look to analyse companies. 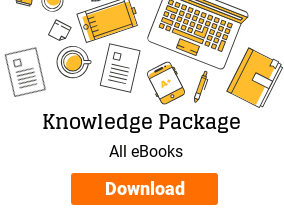 The e-workbook is very exhaustive & simple to understand. 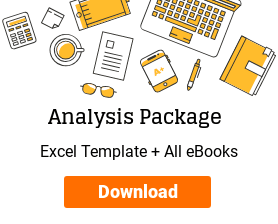 It is one of the best resources I have gone through regarding company analysis. I must thank you for the efforts you have taken in designing a one-day program on Peaceful Investing. The way you have explained us to see Financial Analysis, Valuation Analysis, Business & Industry Analysis, Management Analysis & Margin of safety and credit rating is something which I can never forget. PrevPrevious ArticleHow to find equity dilution and loss on investments?